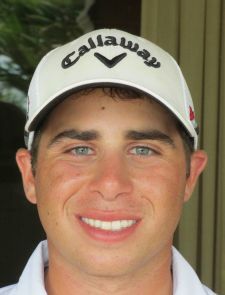 WEST PALM BEACH, Fla. – Brandon Meltzer of Melville, N.Y., fired a three under par 68 Monday at the President Country Club for his second victory on the Golfslinger.com Tour. His previous victory came in a playoff last July 13 at Indian Spring CC in Boynton Beach. Playing in the last group of the day, Meltzer got it up and down for birdie from 109 yards on 18 to bolt past a foursome tied at 69 among the 35 in the starting lineup. His final hole birdie from 15 feet (pictured above) was his fourth of the day. 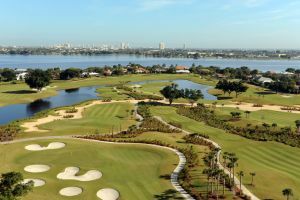 Chris DeJohn of Rocky Hill, Connecticut, Jimmy Lytle of Ocean Ridge, Florida, Jon McLean from Weston, Florida, and Josh Waters from London, England tied for second place with 69. They each earned $500 while Brandon Meltzer received $825 from the $4,375 purse. 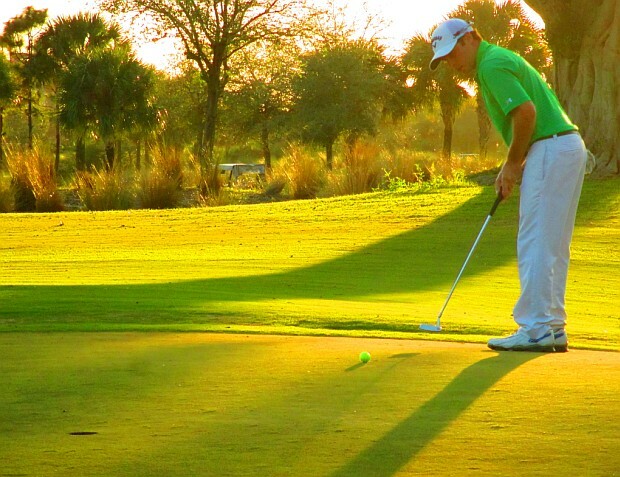 Metlzer played in his first Golfslinger tournament in January, 2007 as a 16 year old amateur.